A Hobart grandmother has accused a not-for-profit disability services provider of housing her 15-year-old grandson in substandard conditions, with the organisation telling the ABC people with profound autism can be "volatile and destructive" towards furniture and property. The grandmother, who the ABC has renamed Kathleen for legal reasons, also alleged the state of the boy's accommodation shocked even an employee of the organisation. The woman said her grandson had been living in an out-of-home care residence run by Oak Possability on Hobart's eastern shore for about 12 months. The boy has profound autism and behavioural issues and is on a care-and-protection order because he is unable to live with his parents. 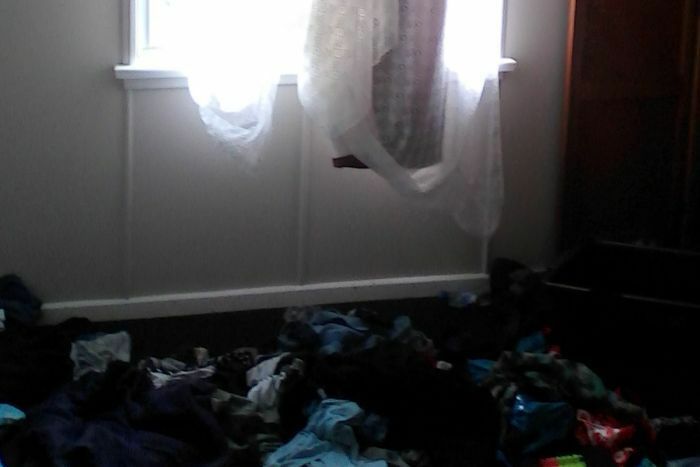 Photos taken by Kathleen show the boy have been provided with a single mattress without a doona cover in a messy bedroom, with clothes strewn on the floor and loose-hanging curtains. "I was upset and crying at what I saw," she said. On Sunday, Kathleen visited him at the residential care facility for the first time, where he lives with a rotating, around-the-clock carer. She said she was met at the house by a carer, who was later replaced by a supervisor from Oak Possability due to illness. 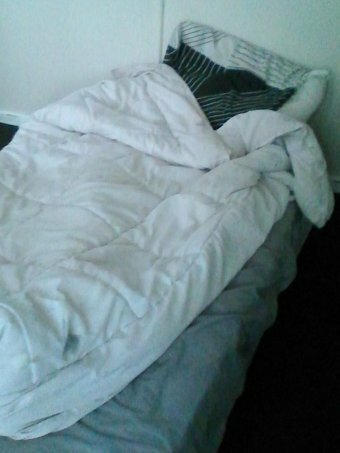 Kathleen said she asked the carer why her grandson was sleeping on a mattress on the floor, to which she was told it was "because he broke the bed". She said the supervisor who arrived at the house was shocked by the conditions. "When she came in she was taking photos all over the place, she was aghast," she said. Kathleen said the bathroom and kitchen were "filthy" and there was barely any food at the house. "The supervisor said she would not cook in it [the kitchen]. There was one lonely towel in the bathroom, drooping." Kathleen said she accepted her grandson had high needs, but said he had the right to a better life. "It would be good if it were good, but it is damn awful. "It is absolutely not suitable, it was like all they had to do was get a dog kennel." A spokeswoman for Oak Possability said the organisation "cares for a number of young people who due to their disability and associated challenging behaviours cannot live in foster care". "It is often not known in the broader community that when someone has profound autism, unfortunately for some individuals this can lead to volatile and destructive behaviours such as damage to clothing, furniture and property." She said staff who worked for Oak Possability "had been trained to use positive behaviour and trauma-informed support practices that are successful in reducing the regularity and severity of challenging behaviours, however, they still occur". A Tasmanian Government spokeswoman said the Department of Human Services was aware of a complaint being made. "CSS [Child Safety Services] has been on site yesterday and been in contact with the provider and they are comfortable with the standard of care being provided." The complaint against Oak Possability is the latest in a string of complaints levelled at the state's child protection system. Last month workers blew the whistle on unsafe foster care environments, and allegations of inappropriate care were also made against a for-profit-provider, Total Support Services.